Our mother & baby unit provides a family-centred experience with an award-winning, multi-disciplinary team of dedicated care providers. Humber River Hospital delivers over 3,000 babies each year. 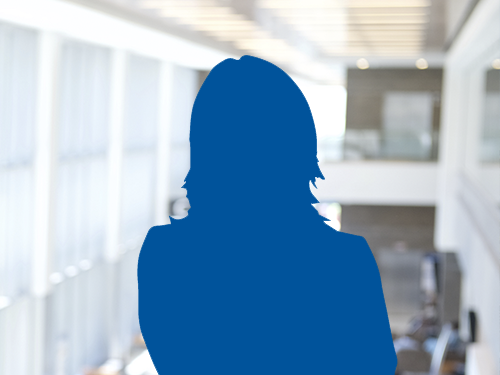 We are a regional leader in women’s and children’s health care. We are committed to providing the best plan of care based on the needs of our patients in our diverse community. Humber River Hospital is proud to provide truly patient and family-centred care in our maternal and child program. We care for mothers and their babies with an award-winning, multi-disciplinary team of dedicated care providers. We provide high-quality, safe care in all areas our program. We are a regional leader in women’s and children’s health care, delivering over 3,000 babies every year. We offer personalized plans of care to accommodate the cultural diversity of our community. We offer prenatal tours on Saturdays. Call between 22 and 24 weeks to book an appointment for 28-weeks gestation. How do I access specialty clinics? All of our clinics require referral from a physician or health care provider except for our breastfeeding support clinic. How long will I be in the hospital after giving birth? For the first 1-2 hours after birth, you’ll remain in the labour & birthing unit. This is so you can have a few hours to relax and hold your baby. We recommend you and your partner hold your baby on your chest. Skin-to-skin contact supports bonding and frequent breast-feeding. You’ll spend the rest of your hospital stay in the mother & baby unit. Each room has sleeping accommodations for your partner or a family member to stay overnight. Length of stay for an uncomplicated vaginal birth is 24-36 hours. Length of stay for a normal caesarean section delivery is 48-72 hours. Length of stay if admitted to the NICU is 24-48 hours. Can I take prenatal classes at Humber River Hospital? Yes! We hold prenatal classes on the last Saturday of each month. Classes cost $125.00 per session. Please call 416-242-1000 x45218 to book. Dr. Graham Black is a physician in the Department of Maternal Child (Pediatrics) at Humber River Hospital in Toronto. Dr. Nicolette Caccia is a specialist in the Department of Obstetrics and Gynaecology at Humber River Hospital in Toronto and Assistant Professor in the Department of Obstetrics and Gynaecology at the University of Toronto, McMaster University and Queen’s University School of Medicine. At Humber River Hospital she practices as a general obstetrician and gynecologist with her focus on obstetrics, menstrual disorders and pessaries. She also practices Paediatric and Adolescent Gynaecology at the Hospital for Sick Children. She has a keen interest in medical education and interprofessionalism and has a Master’s of Education and has published papers in basic science, medical education and paediatrc and adolescent gynecology. 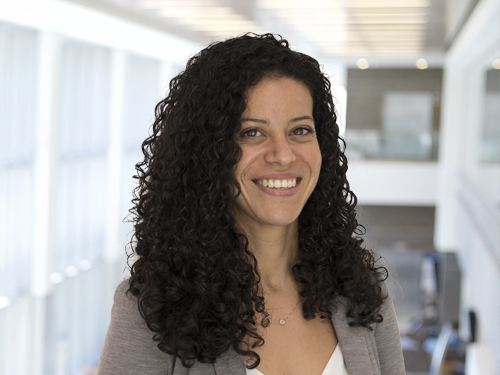 Dr. Daniela Caprara is a specialist in the Department of Obstetrics and Gynaecology at Humber River Hospital in Toronto and Assistant Professor in the Department of Obstetrics and Gynaecology at Queen’s University School of Medicine. She practices as a general obstetrician and gynecologist with her focus primarily in obstetrics, colposcopy and minimally invasive surgery. Her academic background includes a Master’s of Science in Pharmacy and Toxicology and includes published papers on many topics related to pregnancy, including the effects of drugs in pregnancy and fetal alcohol syndrome as well as counselling with Motherisk. Dr. Lily Cha practices general Obstetrics and Gynaecology at Humber River Hospital and has delivered over 10,000 babies since starting her practice in 1988. Dr. Cha received her medical degree from the University of Manitoba and continued with specialty training in Obstetrics and Gynaecology at the University of Toronto. Dr. Beth Cruickshank is a specialist in the Department of Obstetrics and Gynaecology at Humber River Hospital. She received her medical degree from Queen’s University in Kingston and completed a fellowship in Obstetrics and Gynaecology at the University of Toronto, where she now holds an academic appointment as Lecturer. She practices as a general obstetrician and gynecologist with a focus on obstetrics and minimally invasive surgery. She has completed extra training in Medical Education, and has a special interest in teaching medical students and residents. Dr. Mirabelle D'Souza is a specialist in the Department of Obstetrics and Gynecology at Humber River Hospital in Toronto and Assistant Professor in the Department of Obstetrics and Gynecology at Queen's University School of Medicine. Dr. Jay Dahman is a physician in the Department of Maternal Child (Pediatrics) at Humber River Hospital in Toronto. Dr. Jasvinder Dhillon is a physician in the Department of Maternal Child (Pediatrics) at Humber River Hospital in Toronto. Dr. Richard Hamat is a physician in the Department of Maternal Child (Pediatrics) at Humber River Hospital in Toronto. He received his medical degree from the University of Toronto in 1984 and he completed his Pediatric fellowship (FRCPN) in 1989. Dr. Sally Kenawy is a physician in the Department of Maternal Child (Pediatrics) at Humber River Hospital in Toronto. She received her medical degree from St. George’s University School of Medicine and she completed her Pediatric residency at SUNY Downstate Medical Centre (Brooklyn, NY). She is a Fellow of American Academy of Pediatrics (FAAP). 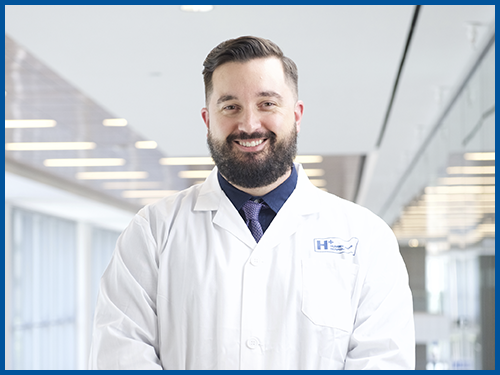 Dr. Ted Kosalka practices Obstetrics and Gynaecology at Humber River Hospital with special interest in vaginal surgery, colposcopy and infertility. He is an Assistant Professor in the Department of Obstetrics and Gynecology at Queen's University School of Medicine. Dr Andre LaRoche completed his residency in Obstetrics and Gynecology from McMaster University and furthered his education with a fellowship in Minimally Invasive Surgery and Chronic pelvic pain at the University of Ottawa. He is an Assistant Professor in the Department of Obstetrics and Gynaecology at Queen’s University School of Medicine. Dr. LaRoche focus is on medical and surgical management of endometriosis, fibroids and urogynecologic issues. He also sees obstetrical patients for full or shared care. Dr. Clive Lee is a general Obstetrician & Gynecologist who has completed his fellowship in Reproductive Endocrinology and Infertility, and is certified by the Royal College of Physicians and Surgeons. He has been providing fertility treatment over 15 years in his Toronto and Mississauga offices. His goal is to meet each patient’s individual needs with sensitivity and compassion. 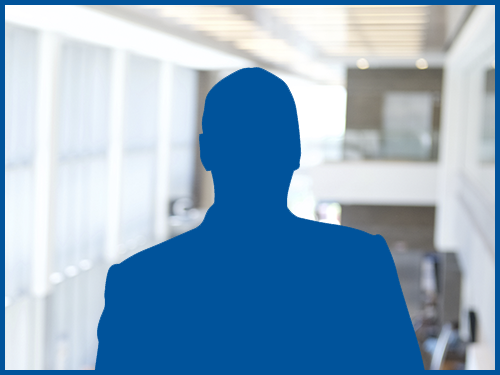 He is involved in medical student and resident training and is an Assistant Professor at Queen’s University. Dr. Grace Mariampillai practices as a general Obstetrician & Gynecologist with special interest in Colposcopy . She joined Humber River Hospital in 1998. Dr. Mariampillai received her medical degree inform University of Ceylon & completed the Membership in Obstetrics & Gynecologyin the United Kingdom, followed by Fellowship from University of Sasketchewan . She was appointed as Adjunct Professor of Obstetrics & Gynecology from Queens University and is involved in training medical students, & residents and student midwives. Dr. Gilbert Miller is a physician in the Department of Maternal Child (Pediatrics) at Humber River Hospital in Toronto. Dr. Joseph Porepa is a physician in the Department of Maternal Child (Pediatrics) at Humber River Hospital in Toronto. Dr. Ayala Revah received her medical degree from the University of Toronto in 1994, and completed residency training in Obstetrics and Gynaecology in 1999. She has been at Humber River Hospital since then as a member of the medical staff. She is an Adjunct Professor of Obstetrics and Gynaecology at Queen's University and is involved in the training of medical students and residents. Dr. Revah served on education committees at the hospital and has lectured widely to health care professionals and community groups. Her practice includes all general gynaecology and obstetrics with a special interest in hysteroscopic surgery and is open to new referrals. Dr. Jacob Rosenberg is a physician in the Department of Maternal Child (Pediatrics) at Humber River Hospital in Toronto. Dr. Narendra Singh is a physician in the Department of Maternal Child (Pediatrics) at Humber River Hospital in Toronto. Dr. Ben Tse has been practicing Obstetrics and Gynecology over past 35 years in the Humber community. He first introduced Minimally Invasive laparoscopic surgery to Humber over 25 years ago for women surgery. Additionally, he brought Colposcopy to Humber River 35 years ago for investigation and treatment of abnormal Pap smear for women. Dr. Tse holds Associate Professorships at McMaster and Queen's University medical schools. Dr. Guy Widrich is a physician in the Department of Maternal Child (Pediatrics) at Humber River Hospital in Toronto. Dr. George Wong obtained his MD, FRCSC as well as degrees in Engineering and Theoretical Physics from the University of Toronto. He served as Chief of Obstetrics & Gynecology at the Humber River Hospital and is an Assistant Professor at Queen's University. Dr. Wong's practice is in general Obstetrics and Gynecology. This clinic provides follow-ups for babies to check bilirubin levels. While in hospital, you’ll receive support from a trained lactation consultant. You can also access this service after you are discharged from the hospital through the breastfeeding support clinic. This inpatient unit offers services in a child and family-friendly environment for children aged 28 days to 18 years. The care team, which includes a Child Life Specialist, received a top rating for patient satisfaction in Ontario, in 2015 by the National Research Corporation of Canada. This clinic provides urgent care for women under 13 weeks into their pregnancy experiencing complications. Our general surgeons support departments throughout the hospital. This unit is for adults with acute, life-threatening illness or injuries requiring specialized care. This unit is where you’ll stay while giving birth. You will have a few hours post-birth to relax and hold your baby after birth. This is where you will stay after giving birth. Each private room has sleeping accommodations for a partner or family member to stay overnight. This clinic monitors the growth and development of premature babies up to 3 years old. This unit provides care for newborn babies who require specialized care and attention. This clinic provides care to children experiencing delays or difficulties in development. The occupational therapist promotes skill development in oral or feeding skills, fine or gross motor skills and self-help skills. This clinic supports children living with asthma. We empower children to enhance their quality of life by helping them manage symptoms. This clinic provides services to children experiencing audiology issues like hearing loss, repeated middle ear infections and delays in speech and language development. The clinic also provides testing under the Ontario Infant Hearing Program. This clinic diagnoses simple and complex congenital heart disease. This clinic offers care to children diagnosed with seizure disorders, migraine headaches or other neurological disorders. This clinic offers care for children with nutrition-related needs like obesity, hyperlipidemia, insufficient weight gain, inappropriate weight loss and food allergies. This clinic provides care to children with delayed speech or language skills. This clinic offers care to women experiencing normal, moderate or high-risk pregnancies. RSV is a common virus that causes a mild cold in healthy children and adults. Premature babies and young infants can become very sick if infected. Speak to your family doctor or paediatrician for referral. Children from age one to 18 receive care after surgery. Working with a Child Life Specialist, the child and their family are encouraged to participate in age-appropriate orientation prior to surgery to help reduce anxiety. This clinic provides care to patients before they go into surgery. The clinic assesses and educates patients so they are prepared. The clinic supports patients with special needs or language barriers. This service is a specialized inter-professional team that provides evidence-based pain and symptom management to post-operative inpatients. The team collaborates with surgical services to maximize patient’s comfort, satisfaction and recovery. BMD is the use of x-rays to measure bone mineral density. CT scanners use x-rays to produce 2D or 3D images of parts of your body. Our new machines are bariatric-friendly and are quieter than standard units. Our CCRT helps enhance patient safety by increasing access to critical care across the hospital. Comprised of specially trained physicians, nurses and respiratory therapists, the CCRT exports the skills of the ICU to empower healthcare professionals to act when they feel that a patient has the potential to become critically ill.
General radiography includes radiography and fluoroscopy. Radiography is the use of x-rays to acquire 2D images of the body. Fluoroscopy is the use of x-rays for real-time visualization of body structures. Humber River Hospital’s laboratory provides service throughout the hospital. Laboratory services assists every department in the hospital. Our dedicated team, equipped with state-of-the-art equipment assists health providers to diagnose diseases in blood, tissues and fluids. Our laboratory staff work collaboratively throughout our hospital to ensure timely and accurate results and diagnosis. An MRI a strong magnetic field to generate images of your body. It takes pictures of parts of the body that don’t show up well in x-rays, CT scans or ultrasounds. Our MRI units are bariatric-friendly and quieter than most machines. Nuclear medicine takes images of many parts of the body, including the lungs, heart and skeletal system. Attending a prenatal class is a great way for you and your partner to prepare for the birth and care of your baby. Classes are $125.00 per session. Call to book. We invite you to visit us if you are planning to have your baby in a hospital. We offer prenatal tours so you can view our facilities and meet the birthing team. Please call to book your appointment between 22 and 24 weeks. An ultrasound uses high-frequency waves to take images of the inside of your body.